Welcome to Condo Sool Village, which is proudly managed by North American Standards (Nasplaya). Sool Village 28 is a 3 bedroom, 3 bathroom home in the residential nature preserve called Selvarmar. 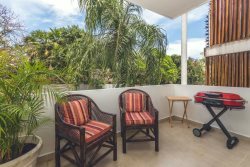 Enjoy quiet residential living around lush, tropical surroundings while only being a short 10 minute drive to downtown Playa del Carmen. A white sandy beach with a beach club is only a 5 minute drive away. Enjoy activities like tennis, basketball, volleyball or soccer on Selamar's vast terrain, or rejuvenate on a nature walk while talking in all the natural beauty. Most notably, if you book direct with us at Nasplaya, you'll get the lowest price guaranteed. Save from 5-15% as compared to Airbnb, VRBO, Expedia and Booking.com. 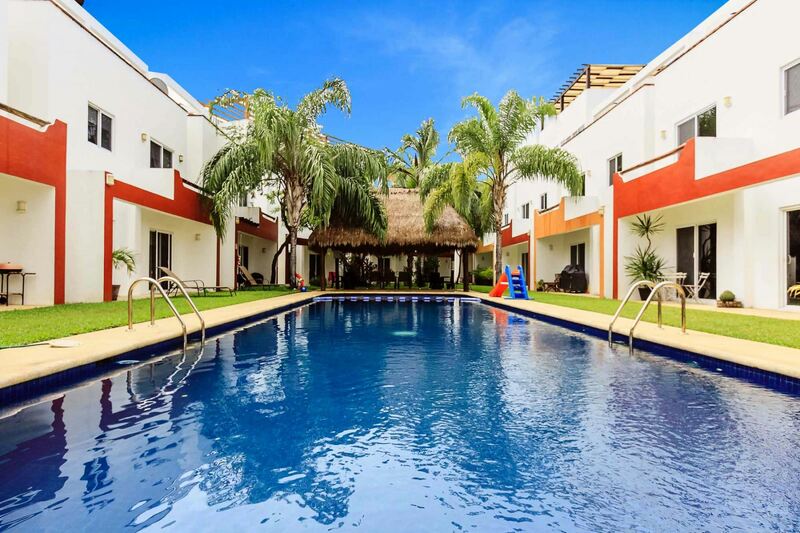 Additionally when you rent from Nasplaya, you are renting from a professional property management company with over 11 years experience in Playa del Carmen. You’ll have free access to our bilingual concierge who can help you cut through the language barrier. From unique restaurant recommendations to discounted tours, we can help you save time and money. We also have a 24/7 help line should you need any assistance during your stay. The home itself is divided into 3 levels with the kitchen, living room and full bathroom on the ground floor. The next floor up houses the 3 bedrooms and 2 other bathrooms. The top level hosts the large, private pool view terrace perfect for sun bathing. - Rentals of 1-4 months: Rate is plus electricity and a $1,000 USD security deposit. - Rentals of 4-6 months: Rate is plus electricity, TV, internet and water and a $1,000 USD security deposit. © 2019 | North American Standards Property Management - All rights reserved.